The land of Indian sub-continent is renowned all over the world as the cultural hub of the civilization. The Indian state of Gujarat is one of the seats of that cultural manifestation. It has many dance forms to offer to the world. 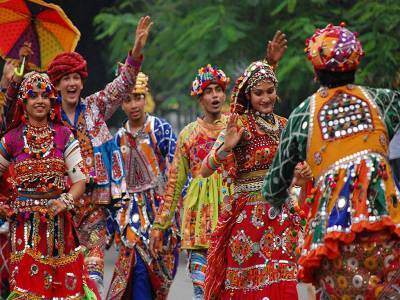 Among those one of the most prominent one is obviously the Garba Dance. The meaning of the word garba translates to womb in Sanskrit. 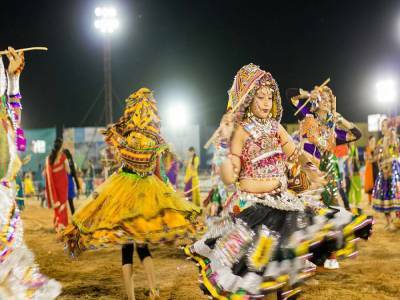 It is said that the Garba Dance is performed to ceremoniously pray to the Mother Earth and the Goddess Shakti. Hence during the performance of this dance a deep or earthen lamp is lit at the center stage of the dance recital. In many occasions the Garba Dance is performed by the dancers with lamps in their hands. The classical Garba Dance is mainly performed in reverence of Devi Amba, the portrayal of Goddess Durga. 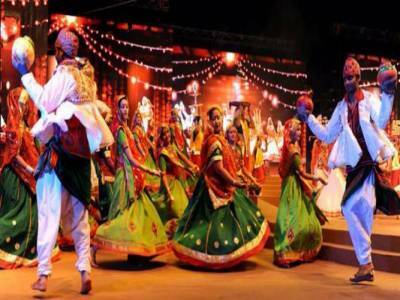 So the festive dance is staged during the nine nights of the Holy Navaratri in the month of September or October. 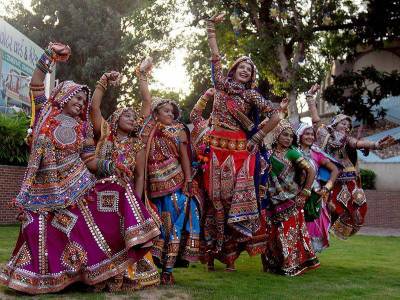 The state of Gujarat takes the performance of Garba Dance very seriously. It has become the part of the people. It is taken up by the mass as an important ritual of the Navaratri celebrations. The dance form is a group dance performed with a rhythmic chorus. The dance is done by both men and women folks. The dress of Garba Dance is, in particular, very unique. The men wear a kurti which remains tight in the thoracic region and then spread out loosely like a skirt. Men wear dhoti with this kurti. Women wear duppatta, kamiz, choli and ghagra. All these clothes are very bright and are weaved with traditional Gujarati embroideries. The Garba Dance is performed with religious song recitals and the main step motions are concentric and circular. The rhythmic clap beats makes the whole performance a mesmerizing one. 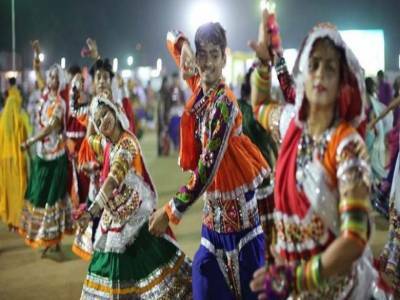 Get quick answers from travelers who visit to Garba Folk Dance.